Police are asking for the public's help in solving a South Bay murder mystery. SAN DIEGO (NEWS 8) - Police are asking for the public's help in solving a South Bay murder mystery. Gaby Gonzalez was last seen in 2002 when her mother dropped her off at school. The 14-year-old made an eerie prediction on the day her mother drove her to Montgomery High School. Gaby said she had the feeling that she was going to die at a young age. “Gaby was a teenager and she did not get to live that full life that all parents hope and dream their kids will live,” said Sgt. David Oyos with Chula Vista Police. 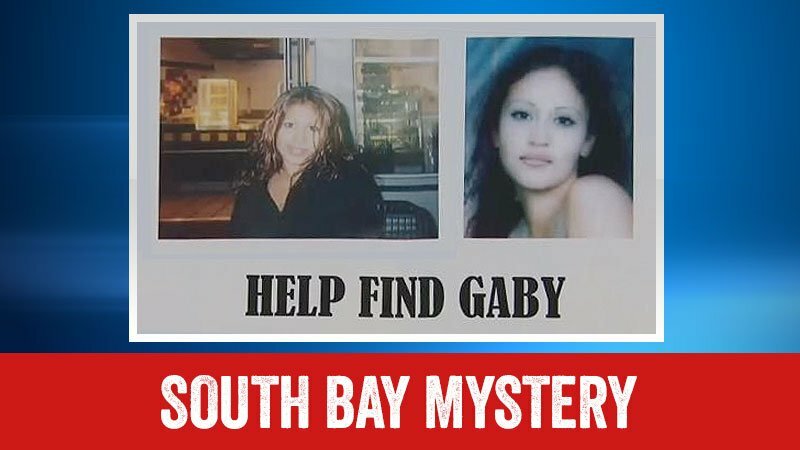 Detectives soon developed information that Gaby had been murdered and her body dumped along the Otay River bed. But two searches with cadaver dogs in 2005 and again in 2016 turned up no human remains. “We do believe, unfortunately, that Gaby is no longer with us and that's why we've done two very extensive searches previously in the southern area of our city,” said Sgt. Oyos. Before she went missing, Gaby left a note for her mother. It said, “I love you mom" and reportedly included the first name of her 19-year-old boyfriend Juan. “Throughout the investigation, we determined we had persons of interest that we would look at. One of those persons was Gabriela's boyfriend at the time, suspect Juan Vera,” said Sgt. Oyos. Police say Vera is a former gang member and an ex-con. Court records show he has convictions for multiple bank robberies, battery while in prison, and domestic violence. Reached by phone in National City by News 8, Vera denied any involvement in Gaby's death. He told us he voluntarily took a lie detector exam in 2002. Officers also served a search warrant on his father’s home in Chula Vista, according to a family member. At the time of Gaby’s disappearance, Vera was no stranger to police. “The victim's mother had called the San Diego Police Department to report her 14-year-old daughter kept seeing this 19-year-old man against (the mother’s) wishes. And at that time the girl told San Diego police a lot of things that were going on between she and the 19-year-old,” said Sgt. John McAvenia in a 2005 interview with News 8. Juan Vera said officers interviewed him again in 2016 when he got out of prison. To date, no criminal charges have been filed in Gaby's disappearance or death. “We're always one witness away from closing a cold case homicide investigation,” said Sgt. Oyos. If you have any information on Gaby's murder call San Diego Crimestoppers at (888) 580-8477. You can remain anonymous and you may be eligible for up to a $1,000 reward.